Coca Cola UK is offering the 2010 FIFA World Cup™ Celebration Award to the best goal celebration by players in the FIFA World Cup this year. English player Wayne Rooney is joined by comedian James Corden to promote the campaign, each with their own interpretation of what fans are likely to vote for on FIFA.com. 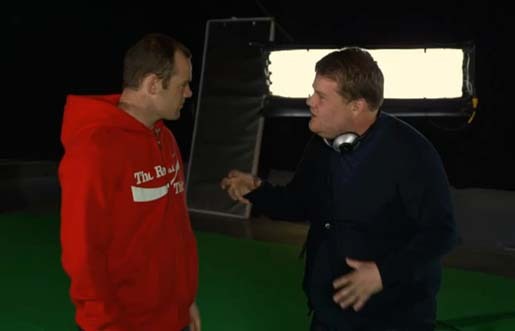 Corden plays a director filming Rooney and trying to get him to re-enact a goal celebration. However, Rooney’s performance lacks enthusiasm, with the player merely raising his fist in the air and waving it about. Corden says calls for some iconic Rooney and offers his own energetic version of a goal celebration. Rooney pops his hoodie on and launches into a gymnastic celebration of his own. The promotional film ends with the slogan ‘Join the celebration at cokezone.co.uk’.